ShipYourEnemiesGlitter.com is for sale on Flippa, looks to be the most active website auction ever! If you’re looking into buying websites that are already hugely successful, then this might be for you. The hilarious and massively popular viral sensation ShipYourEnemiesGlitter.com is for sale on Flippa! Make sure to check out the live website auction for the site. Created by 22 year-old Australian entrepreneur Mathew Carpenter, ShipYourEnemiesGlitter.com offers a one-of-a-kind service. Pay a mere $9, and you can send a glitter filled letter to the recipient of your choosing. Carpenter launched the site on January 12th, 2015, and as of January 16th, 2015 the site had generated over 2,500,000 visitors resulting in over $20,000 in sales, and over 415,000 mentions on Facebook and Twitter. Global media remain fixated on the site. Nearly every major news publication has commented on it including Entrepreneur Magazine, Time Magazine, Yahoo, USA Today, Slate, DailyMail, FastCompany, Mashable, and more! Of course, the sale of the site is now further fueling the headlines with the likes of TechCrunch, The Washington Post, and The Guardian all sharing their thoughts on the auction. So, how did ShipYourEnemiesGlitter.com end up on Flippa? In his own words, Carpenter was, “not expecting this kind of response.” In fact, he launched the site while on holiday as a small side project. After the site crossed $20,000 in sales and orders were still piling on at an astonishing rate, he became overwhelmed and turned off the site’s ability to process orders. The glitter life was not for him. 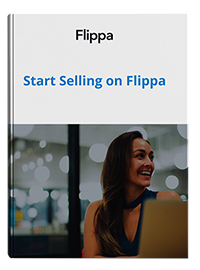 As Flippa is the #1 marketplace for buying and selling websites, Carpenter came to the right place to find someone to buy his website. Of course, we’re thrilled to have him, and given the magnitude of the auction we’re working closely to verify all bidders and ensure a smooth transaction. Is this the most active website auction ever on Flippa? Indeed, the auction for ShipYourEnemiesGlitter.com may well be the most active website auction ever on Flippa. In the first day of bidding it amassed over 300 bids and has already hit reserve sitting at $61,100! In the process the auction has been viewed tens of thousands of times, and with just four days left and several bids already pending, it should be exciting to see this auction pan out! So, what do you think of the site? Let us know in the comments below!